Good Morning everyone, just felt like showing you guys what I ordered yesterday from sheinside. I've never ordered from this website this is my first time, so I hope everything comes as is. 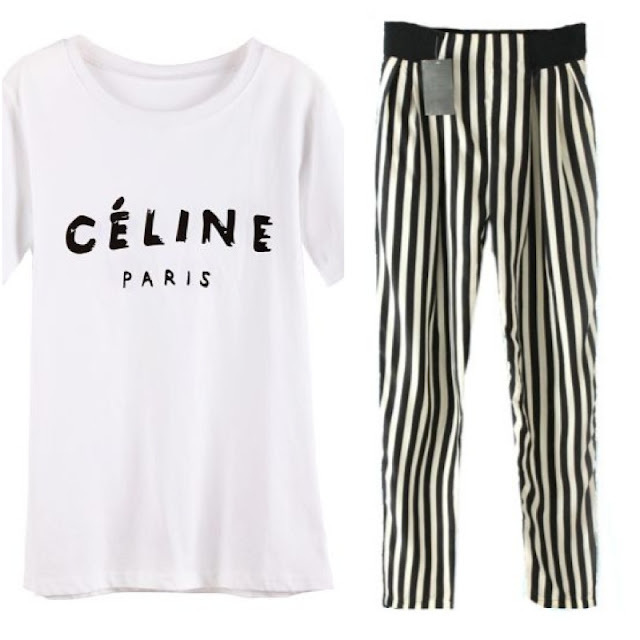 I don't have a pair of striped pants and I've seen these Céline Paris shirts all over tumblr and I finally found it, so it's the perfect order. You can find the shirt here and the pants here. love love. I am actually so inlove with the stripes pants!! This would make such a cute look, I love the thinner stripes in the pants, it's less overwhelming! Love this combo!! Stripes are the best!